The Blanch Law Firm has long been known as a top-notch team of commercial litigators who can successfully defend any civil RICO case. Complex litigation involving RICO statutes can cost companies millions of dollars in fines, millions more in associated lawsuits, and, potentially, prison time for company executives. At The Blanch Law Firm, our skill in defense litigation has allowed our clients focus on their bottom line instead of legal issues. If you are facing a lawsuit based upon RICO violations, you need a qualified Commercial Litigation Attorney team to defend you in and out of court. The penalties involved in RICO cases are substantial, and the law heavily favors the plaintiff in such cases. Racketeer Influenced and Corrupt Organizations Act authorizes three times the damages to be awarded for any successful private lawsuit. The “triple damages” provision was justified by the expected advantage of suppressing racketeering activity. Depending on the particular violation you are charged with, it can cost your company millions of dollars. Civil RICO statutes regulate the way companies do business, and how they compete with other companies according to Federal Law. Civil RICO statute 18 U.S.C. 1964 not only provides criminal penalties for racketeering charges, but civil remedies as well. The most common forms of RICO violations are mail fraud, extortion, obstruction of justice, obstruction of a criminal investigation, and witness tampering or retaliation. Congress designed Civil RICO laws to be “liberally” construed, meaning that there is a greater burden on the defense than on the prosecution or plaintiff. 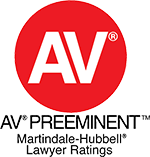 As such, any company or individual must have a top-notch commercial litigation team handling their case. The Blanch Law Firm is comprised of a team of top notch litigators who are well respected for their work involving high profile litigation. 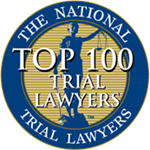 Our successful track record of providing top-notch litigation services to companies across the world has earned us the respect of legal professionals and executives. 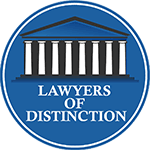 We approach every litigation matter with an aggressive technique, assigning multiple litigators to every case, assuring our clients a comprehensive review of every matter as well as the best results possible. Our commercial litigation firm handles Civil RICO and Criminal RICO cases, and our knowledge of racketeering laws on the state and federal level is broad. If you are facing a Civil RICO lawsuit, Contact the commercial litigation team at The Blanch Law Firm today at 212-736-3900. 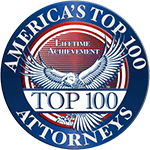 Our attorneys are dedicated to providing superb legal services, and we are dedicated to your company’s success.